You can check if this will work with your laptop/desktop. It uses Adobe Flash. Please give the quiz around 30 seconds to load. While it is loading, the screen may appear blank. There are 14 online quizzes inside the RESAR online review, and each quiz has 20 multiple-choice questions. These questions are rearranged randomly, which means that when you take the same quiz again, what used to be Question #5 might be Question #1. This means that you cannot simply memorize that the answers to the Quiz are A-A-B-C-A-B-B-C-C… because the sequence of the questions can be randomly changed. Now you know how effective a learning tool the online quizzes are, because you’re not just memorizing the letter answers. Good luck with your review! You can do it! We would like to sincerely wish you success for everyone preparing for the PRC’s Real Estate Brokers’ Licensure Exams scheduled for May 24, 2015 (Manila, Baguio, Cagayan de Oro, Cebu, Davao, Iloilo, Legaspi & Lucena). Please check the http://prc.gov.ph website for additional info. Please coordinate with your face-to-face review class providers for additional info regarding the exam requirements such as forms that you will need to accomplish, including the timing/deadline for the application for the exam permit (May 4, 2015 deadline). People who are preparing for the PRC’s Real Estate Brokers’ Licensure Exams are wondering if they may still apply for an Exam Permit. The Commission on Higher Education (CHED) issued Circular Memorandum Order No. 28, Series of 2011 — Policies, Standards and Guidelines for Bachelor of Science in Real Estate Management (BS REM). What does this mean, especially for people who did not graduate with a degree in BS REM? Are you preparing for the next Real Estate Brokers’ Licensure Exams of the PRC? Are you looking for a Comprehensive Real Estate Seminar and Review (CRESAR) to help you earn the required units in real estate subjects, so that you can apply for an Examination Permit? Here’s how you can get info about a CRESAR that will be held in Davao City in November 2011..
Comprehensive real estate seminar and review in the Philippines. "Thank you for providing this online review, this reinforces my confidence to take the real estate brokers exam." "Wow, wonderful! I'm connected with LGU-Assessor's Office and it helped me a lot with the useful information posted. More power." "Thank you for sending me the real estate seminar review. This would help me a lot for my plan to take a broker's examination." "I find this online review eye opener for me. I learned so many things already even though its been just a week. Also I enjoy and I learn fast on the video, very easy to comprehend and understand." "Great start! Keep it up! Much thanks for letting me be part of this successful project." "From my side, helps me to understand the flow of selling properties in a right manner." "Yeah! Thank you so much for the reviewers/handouts. It would really help me a lot for me to be ready with the goal field that I set. Hoping to learn more reviews and knowledge to acquire with your way of teaching." "Wow, this is good, so so good. It's like entering an 'Enchanted Kingdom' amazed by the useful information I will need in my future career." "Thanks a lot. My knowledge about real estate now become broader and your review on line is helpful especially when I'm busy at my work." 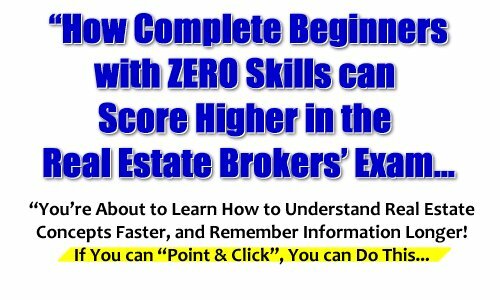 "Thanks a lot for your effort to have this online real estate seminar review, which gives me enough confidence and courage to pass the... brokers board exam. More power to your program." "Resar Online Review saved me a lot of time in scouring so many topics related to real estate. I am now focused on the important topics as presented in the video. The video presentation made it easier to understand the different concepts. Thank you very much and more power." After you have remitted payment via LBC Express Door-to-Door Delivery, you will be sent your username and password within 36 hours from the time your remittance is delivered to the recipient.